1. Treat Pets, Home & Yard in 1 Day! Treat your pets, home, and yard (if you have one) all in one day to knock out the flea & tick life cycle. 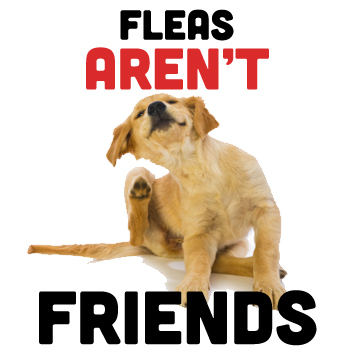 Use Flea & Tick Control for Pets + Home indoors and on your dogs and cats and Flea & Tick Control for Yard + Garden Concentrate or Ready-to-Use outdoors. Next, treat your yard again in 7-10 days, and then monthly for pest prevention. To save some time and to get a finer mist when treating your home with Flea & Tick Control for Pets + Home, use a compression sprayer. 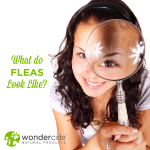 It will help you reach every nook and cranny in your home where fleas or ticks might be hiding. It’s non-staining and dries clear, so you can safely apply to all surfaces in your home. We do recommend a quick test patch on specialty fabrics applied to a discreet area. When treating your yard with Flea & Tick Control for Yard + Garden, try to find a week when it won’t rain much. That way, you can treat twice within 7-10 days and let the solution really seep into the soil for the best bug-busting power. Apply Flea & Tick Control for Yard + Garden to your outdoor areas during the coolest part of the day, either in the morning or at dusk to protect your plants from the sun (phytotoxic burn). Start at the house and work backward when applying, spraying siding, patio, trees, and the yard. It’s safe to spray on plants! An awesome but optional first step is to wash your pets with the Flea & Tick Pet Shampoo Bar, which will kill adult fleas and ticks and ensure your pets are squeaky clean in addition to flea-free. Shampoo bars are easier to use than liquid shampoo because you can hold your pet with one hand and the bar with the other. And, they last 5x longer, too! When misting your pets with Flea & Tick Control for Pets + Home, make sure to approach them in a calm manner and apply in a relaxed setting. Nobody likes to be ambushed with a spray bottle! Rub back your dog or cat’s coat and then spray to ensure the Flea & Tick Control for Pets + Home solution reaches their skin, where it can make contact with those fleas or ticks. 8. Be Ready for An Adventure! Keep a 4 oz Flea & Tick Pets + Home spray in your car, tote or backpack so you’re ready to protect your pets on the go. We recommend spraying pets every 2-3 days and applying after bath time and before outings like hikes and visiting the park. To treat your pet’s face and ears with Flea & Tick Control for Pets + Home, spray the solution into your hands or onto a clean cloth and apply gently to their fur and skin, avoiding the eyes and snout. It’s a good idea to wash your pets’ bedding when you’re dealing with fleas or ticks, and you can add a capful of Flea & Tick Control for Yard + Garden concentrate in with the wash to kill any fleas or ticks and add repellency to the fabric. Finally, don’t forget to have a little FUN, too! You can make spraying your dogs and cats into a routine with treats and pets and lots of LOVE, take spraying your home as an opportunity to do a bit of satisfying spring cleaning, and use the time spent treating the yard as a chance to romp around outside with your fur family! I appreciate the tip to spray the solution into your hands or a clean cloth when caring for your pet’s face. My dog was cared for last week by our neighbor when we were out on vacation, and when we returned home, he had ticks. Hopefully tick spraying will be able to solve our problem and our pet can be properly taken care of. We’re glad this tip could help you! Ticks are tricky pests, that will latch on to any area they can access. Because dogs love to sniff and have their noses to the ground, this often means their face is a prime target! The great news is, our products will kill those nasty ticks by-contact, as well as repel new ones from hitching a ride. Let us know if there is anything else we can do to help you and your pup be tick-free! Are these products truly safe for cats who’s systems are so fragile (you know… their livers can’t process stuff, even natural products). Also is this okay for my young Australian Shepherd who I’ve been told is a sensitive breed. Thank you for your earth friendly product and your dedication to keeping pets safe. 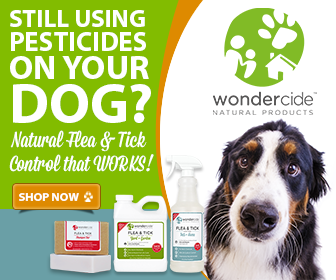 Wondercide only uses essential oils that are safe for both dogs and cats. 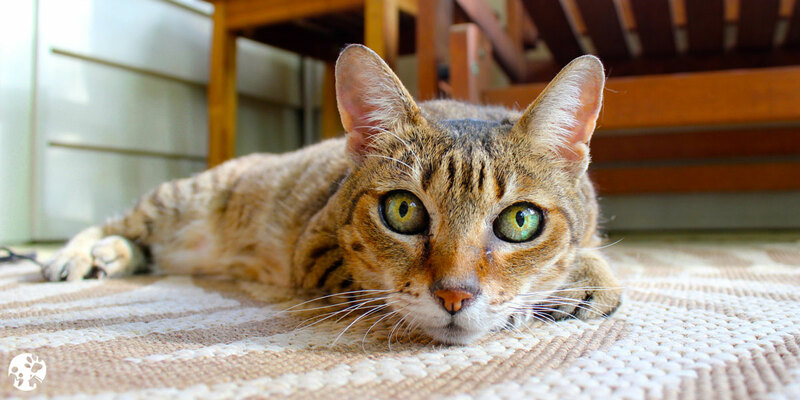 There is a lot of information regarding the use of EOs with pets (especially cats), and we’d love to share more about our products. The two most important factors for essential oil safety are ensuring the purity of the oils, and proper dilution. Wondercide products use therapeudic-grade oils that are of the highest purity. Our oils are all properly diluted, and naturally phenol-free. Cats don’t have the liver enzymes needed to break down phenols, meaning essential oils that are high in phenols could be harmful to cats. Clove, for example, is a high-phenol oil that is commonly used in natural flea & tick sprays, but is an oil we would never use because of its toxicity to cats. Our Pets+Home sprays are also formulated with guidance from holistic veterinarians to ensure superior product quality, performance, and safety. Please let us know if you have any additional questions. We’re here for you. Hi I’m concerned about fragrances like Lemongrass, peppermint and cedar around my cats. Can you help me decide what to buy for my Aussie Shepherd and my cats??? All of the essential oils in our products are specifically selected because they are safe for both cats and dogs, so you can feel confident using any of our great Flea & Tick for Pets+Home sprays for your Aussie + kitties. Customers have reported the Rosemary and Cedar scents to be mild and calming, while our Peppermint and Lemongrass are invigorating and our best sellers. All of the sprays are equally effective and will help keep you and your pets protected without the use of harsh chemical pesticides!